Those unfamiliar with AC Cars might look at the AC Ace and immediately see a strong resemblance to both the Ferrari Barchetta and the AC Cobra. The truth is that the AC Ace is widely believed to have been inspired by the design of the Ferrari, whilst also being the original platform of the AC Cobra of Carroll Shelby fame. The AC Ace started life as a design by John Tojeiro, it had a light, rigid ladder-type tubular frame, all independent transverse leaf sprung suspension and an open two seater alloy body made using classic English wheeling machines. It used a 100hp, 2-litre SOHC cam straight-6 engine coupled to a 4-speed transmission (with optional overdrive), the post-WWII-era engine wasn’t exactly cutting edge technology, but the performance specs of 0-62 in 11.4 seconds and tested top speed of 103mph weren’t bad for the late 1950s. The AC Ace would go on to win its class at the 1959 25 Hours of Le Mans and just 3 years after this the first AC Cobras would begin rolling off the production line, this was to be the moment that the humble AC Ace stopped being made. The association with Carroll Shelby would see the little British car enter the record books as one of the most iconic automotive designs of the 20th century, all it really needed was a Ford V8 and a little additional work. 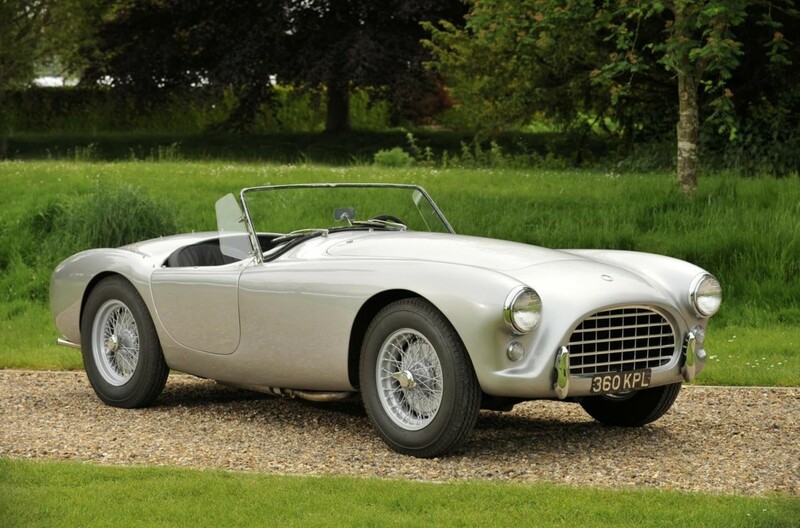 The 1958 AC Ace Roadster has been recently restored and is being offered for sale at The Goodwood Festival of Speed Sale held by Bonhams on the 27th of June 2014, if you’d like to read more about this car you can click here to view the full listing.